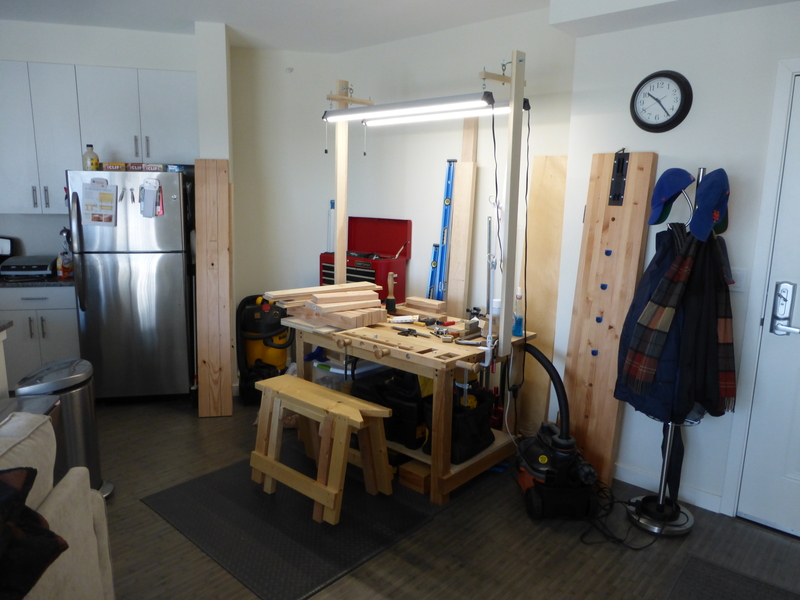 Last week, I was lamenting the spatial constraints of my apartment woodworking shop, and I decided to do something about it. 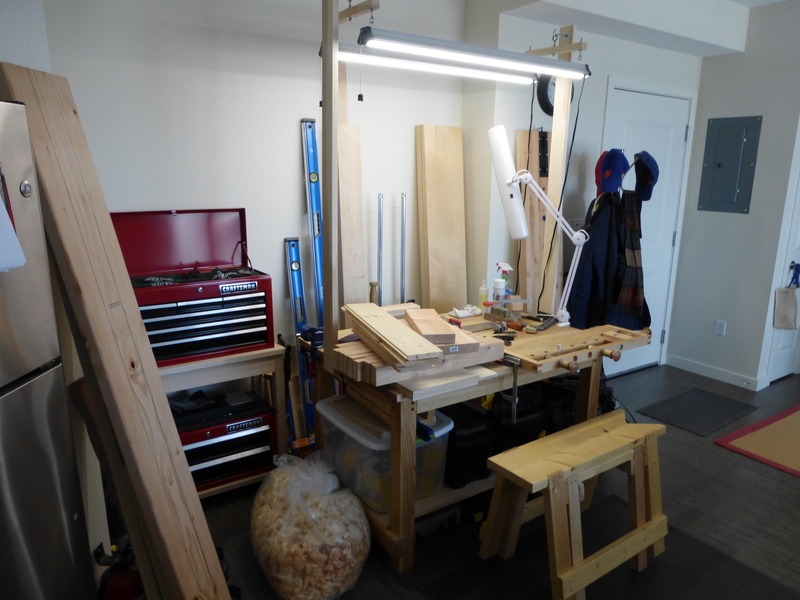 Behold, the reorganized workshop! It’s like one of those “spot the difference” games in the local newspaper. The biggest change was the location of my tool chest. When I first moved into the apartment, I noticed the corner of the dining nook fit the tool chest pretty well. It did fit, but the angle always felt weird in relation to my normal working location. 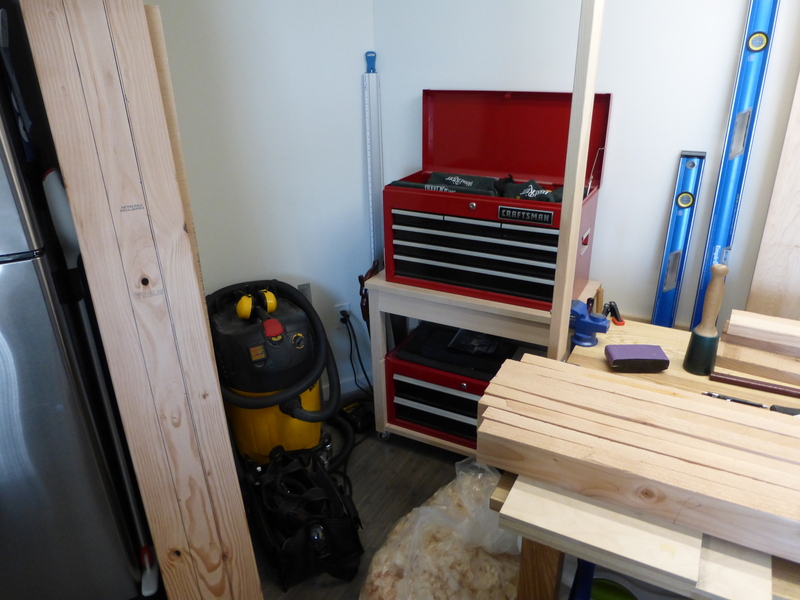 With the tool chest now adjacent to my work table, I have a better reach angle, plus I was able to hang my panel saws off the sides of the rolling table that holds the tool chest. 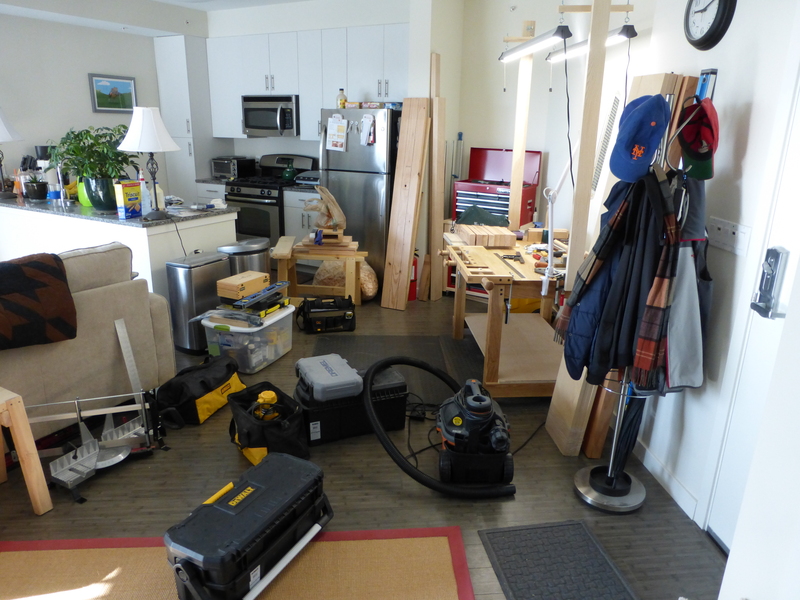 I put the dust extractor in the corner where the tool chest use to be. The second real change was to move the table another 12 inches or so away from the back wall, which served two functions. 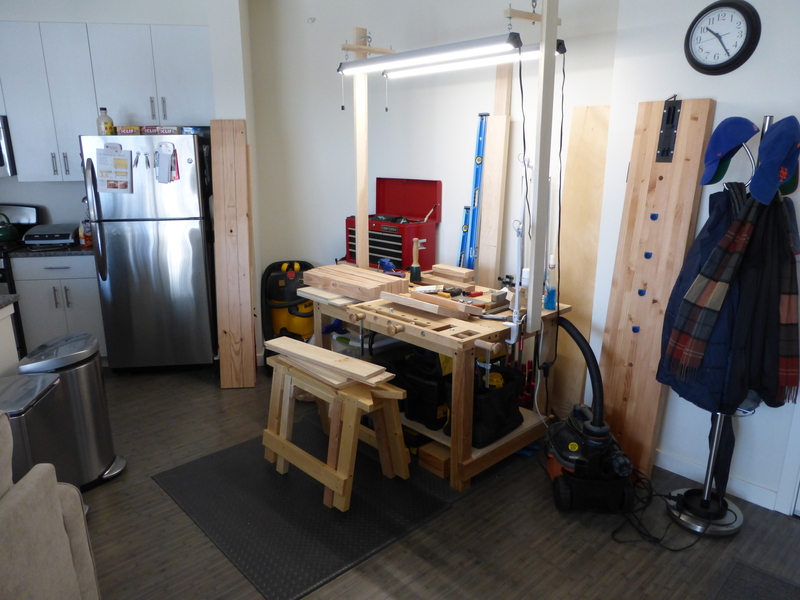 I now have more storage space for clamps and wood behind the workbench area. I also am no longer tripping over the shop vac when in my normal planing position. Plenty of clearance, seen on the bottom right. Finally, because I know it’s the only picture anyone would care about anyway, here is the shop, fully unpacked and just before I started moving things around. I had forgotten that I never made a bottom shelf for the table and there is just a sheet of 3/4 birch plywood under there. And one more shot of the workshop from the opposite angle, too.